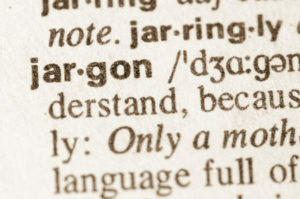 Care to be Different > Articles > NHS Continuing Healthcare > ‘Primary health need’ made simple – what does it really mean? It’s a curious thing – because in other areas of NHS healthcare – e.g. going to see your GP, being admitted to hospital or accessing other kinds of NHS services, the chances are you’ll never hear the words ‘primary health need’. Why? Because it’s an expression that was included in the first main NHS Continuing Healthcare funding assessment guidelines in 2007 (the National Framework for NHS Continuing Healthcare and NHS funded Nursing Care). It’s an expression that was created to describe eligibility for NHS Continuing Healthcare funding. A ‘primary health need’ is a concept, not a legal definition of care or care funding. …plus what it means and how it affects you when being assessed for NHS Continuing Healthcare. In simple terms, there is a dividing ‘line’ between care that the NHS must pay for and care that is the responsibility of a local authority. When a person’s care is the responsibility of the NHS, that care is free of charge. When it is the responsibility of a local authority, the person may be means tested. A ‘primary health need’ is simply a way of describing that a person’s care is on the NHS side of that line. At this point it’s worth reading about the Coughlan case – because it was the judgement in this case that established the dividing line. Essentially Pamela Coughlan challenged a decision that her needs were on the local authority side of that line, and successfully argued in the Court of Appeal that the NHS should fund all of her care. In a nutshell, a person has a ‘primary health need’ when the nature of their care is beyond that which a local authority can legally provide. Just like in Pamela Coughlan’s case: her care needs were the responsibility of the NHS to fund. So a local authority cannot take responsibility for care that is on the NHS side of the line. If it does, the local authority will be in an illegal position. But how do you know which side of that line your care needs fall? Essentially, by going through the NHS Continuing Healthcare assessment process. Questions have been raised, however, about the legality of the assessment ‘tools’ and eligibility criteria in Continuing Healthcare guidelines; if Pamela Coughlan were assessed against them, there is some debate about whether she would actually have been found eligible. This excellent video by Professor Luke Clements explains more. That said, the assessment process (the Checklist, the full multidisciplinary team (Decision Support Tool) and the Fast Track) are the assessments that people needing care do currently have to go through – and so it’s vital to familiarise yourself with them. Keep in mind always, though, that any assessment for NHS Continuing Healthcare must be Coughlan compliant. In other words, it must comply with the judgement in the Coughlan case – and take account of that dividing line we mentioned earlier. How does a ‘primary health need’ relate to the Fast Track process? In summary, saying that someone has a ‘primary health need’ is the same as saying they are on the NHS side of the funding dividing line – and therefore eligible for full NHS Continuing Healthcare funding. and was thankfully found still eligible. I found your website and e book invaluable. It has been a difficult and harrowing process as the funding was refused at first. My advice is not to give up. Hi. Simple question (at least I thought it was); when should someone be assessed for NHS CHC? This isn’t a fast track scenario. 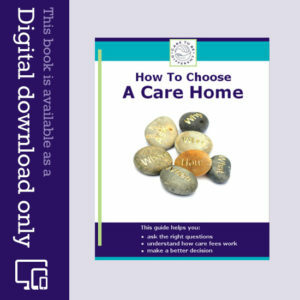 The checklist was completed with/ for my Mum just before Xmas when I became aware of CHC and at my insistence but she had already been in the care of social and health providers for nearly 3 years after a dementia diagnosis. We are fortunate, she is still at home, but I thought the idea of the National Framework, checklist & DST was to remove the subjectivity of assessment? In our case, health and social care professionals did not consider it ‘appropriate’ for mum to be assessed. Given no one told us about NHS CHC or that mum had been considered or the criteria used or the decision it seems both secretive and subjective. How can we challenge the appropriateness of the decision not to put mum forward to the formal checklist if we haven’t been told anything? My mother was discharge from hospital with end stage life illnesses, mid 2017. Heart failure, heart only working at 20%, 3rd stage kidney failure and most recently diagnosed with severe sleep apnoea now having to wear a mask every night to assist her breathing. She is bed ridden and totally dependent on the care provided. Continuing Healthcare (CHC) are now chasing a review, but have failed to provide me with medical records and questions that they are to refer to in the meeting. All the bodies who are to assess mum have been evasive to say the least with why they need to assess my mother. Whilst it’s great my mother is still with us, the pressure of CHC threatening to take away funding is now making her more agitated and stressed than she has ever been. Can anyone advise me on the conditions above and are they classed as primary health care needs? My relative was placed ina nursing home from hospital six years ago and thereafter was deemed to be self-funding . We suspect that a Checklist for consideration for a full assessment for nhs continuing care funding was never undertaken and since admission to the nursing home immediately was subject to self-funding which has continued to this date. Does anyone know what the legal position on this is and where can I locate the specific legislation and regulations etc that will address this particular process. My understanding is that the Local Authority should have engaged the process of looking at entitlement to possible NHS Continuing Healthcare Funding before setting up and means testing of her finances and thereafter billing her for her residential care. It appears to me that in the absence of following this process the Local Authority has acted illegally. My husband was fast tracked with NHS Continuing Healthcare (CHC) as he has a brain tumour and on end of life. We were due an assessment from CHC after three months in a nursing home. There was a mixup so a new assessment is due on 26th February. Any tips for us when we have the meeting or anything we should be aware of that will be beneficial to our case. My husband needs 24 hour caring. My father was also fast tracked in early December for palliative care and is about to go through his three month review. He is bed ridden with a severe heart condition. We have heard nothing yet however from the CCG despite the three months being up in less than two weeks. After having ups and down he seems to be improving but has intermittent chestiness and urinary infections. The nurses at his nursing home feel confident his NHS Continuing Healthcare (CHC) funding will be confirmed but we are a little nervous of what to expect. Would be useful to feed back on how you get on next week. Good luck! The National Framework ‘s statement: “The term ‘primary health need’ does not appear, nor is defined, in primary legislation, although it is referred to in the Standing Rules…” is disingenuous to the point of being misleading. It is true that the Standing Rules aren’t primary legislation. So what? They are secondary legislation and still form part of the law of the land, and trump departmental guidance like the National Framework (NF). And ‘primary health need’ is more than just ‘referred to’ in the Standing Rules as the NF claims. 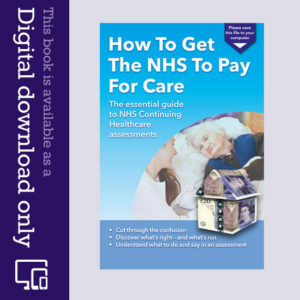 Assessors “must” consider whether the healthcare need is more than just incidental to the provision of accommodation or is beyond the normal scope of social services. If either alternative applies, then a primary health need “must” exist. Once they have weighed the evidence as required by the NF, the assessors must run this test in order to reach their conclusion, or the decision will be unlawful. Paul, the fact that it is mentioned in standing rules is still not a definition. As such it is an even greater disingenuity. True, Chris, but the Rules do provide a clear and mandatory test to determine when a primary health need “must” be present, and consequently when NHS Continuing Healthcare must be granted. My mum passed away in April 2016. When her health began to deteriorate we requested an NHS Continuing Healthcare assessment. When the local CCG contacted me to make an appointment for assessment I explained that my mum was at that point end of life and I was told if mum passed away they would carry out a retrospective assessment. It is now almost two years later and the assessment still hasn’t been done. The member of staff at the CCG who made the appointment with me denied making it but fortunately there was written evidence in the form of a diary entry confirming the appointment. To say it is frustrating is an understatement because it seems that the CCG’s are untouchable. I have complained to PALS and also the Parliamentary & Health Service Ombudsman but it seems there is very little they can do. Tracy, it sounds as though they should have done Fast Track Assessment…in which case NHS Continuing Healthcare WAS due! Have you tried complaining on that basis? Tracy, if end of life was obvious then Fast Track was the course to take and not some nonsense about retrospective assessments. Gather medical evidence if medics recorded anything. Or use care notes and if the same care staff and nurses are still around, it might be worth working out relevant questions and getting them to write their answers. Fast Track is an uncontestable right…. If rapid decline is apparent. Nicely written. I think that many posting with questions will thank you.